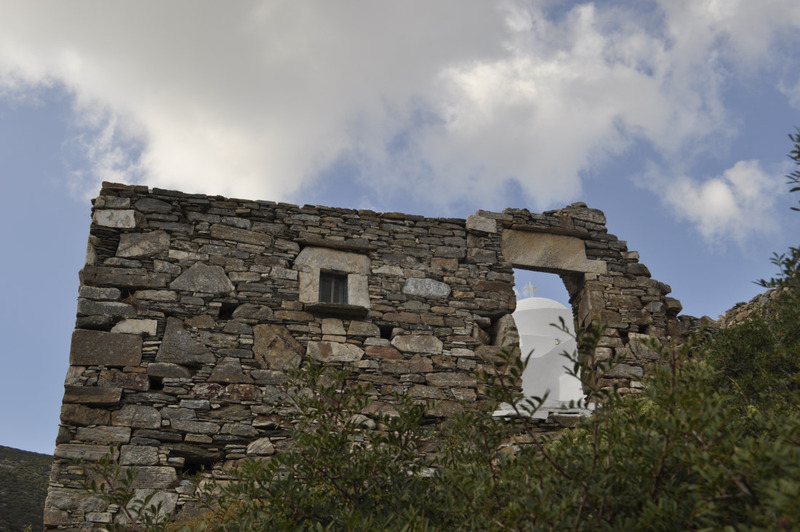 This is the longest, and perhaps the richest trail of Sifnos in terms of natural variety and cultural sites. 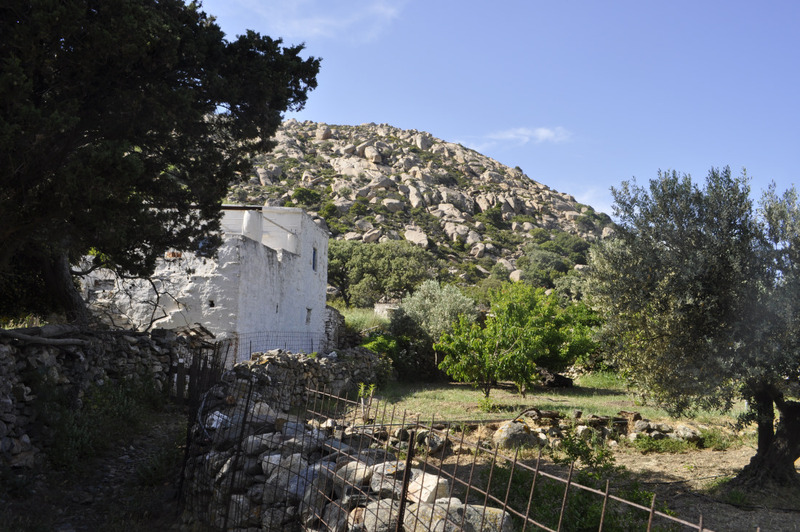 Starting in Apollonia, it will soon leave the village behind it, strolling through small creeks, olive groves and terraced slopes, until it approaches the church of Theologos Mongou, which was a none’s monastery. 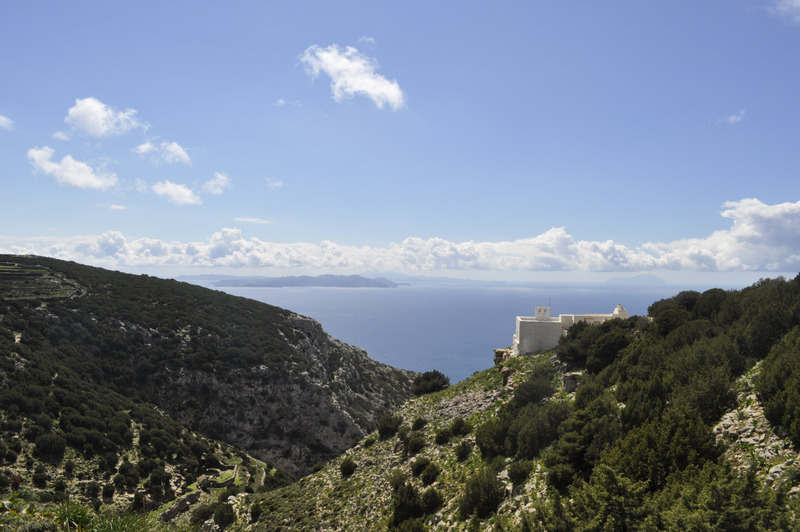 A leveled but stable uphill will lead you to a panoramic spot, at the church of Agios Lefteris. You have reached the “highlands” now! The natural path that moves around the hill, at about 450 meters of altitude offers breathtaking views and an absolute sense of freedom! 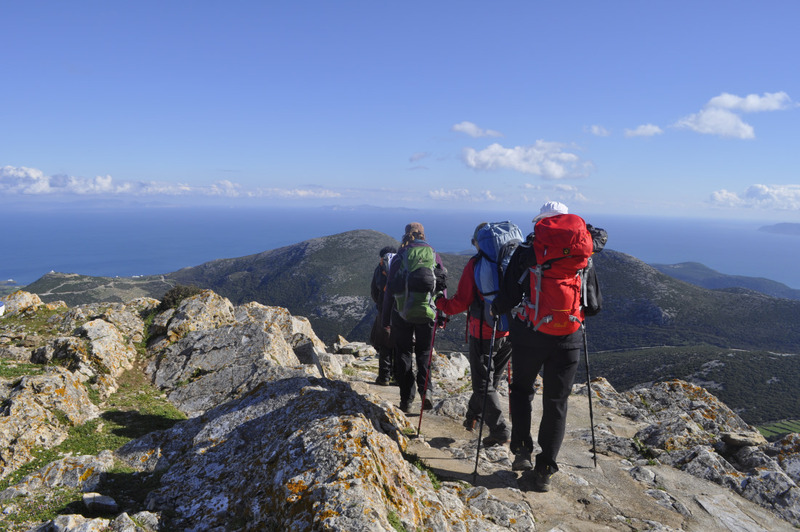 The trail will bring you to a small pass, right after the “aerial passage” above Kamares port. The view now opens toward the west, and it is endless. In clear winter days, you even get to see the Taygete, the holy mountain of Sparta from there! 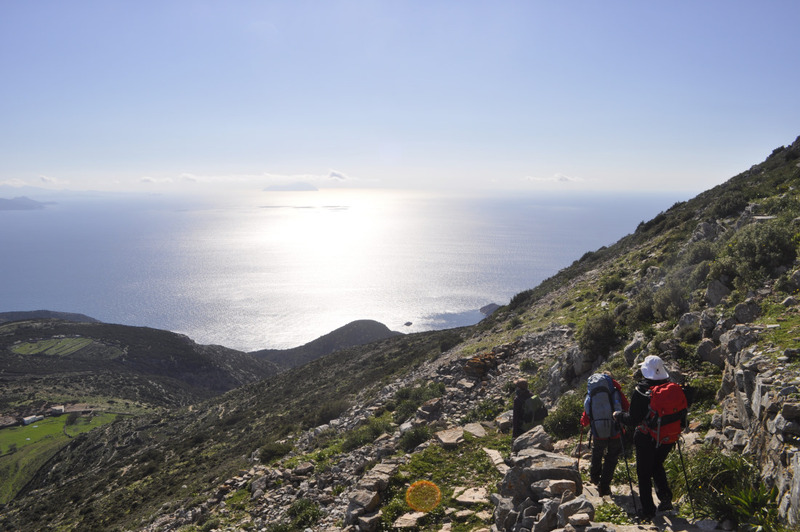 A steep descent awaits you now, which reveals a totally new side of Sifnos, wilder, harsh, and also very inspiring. 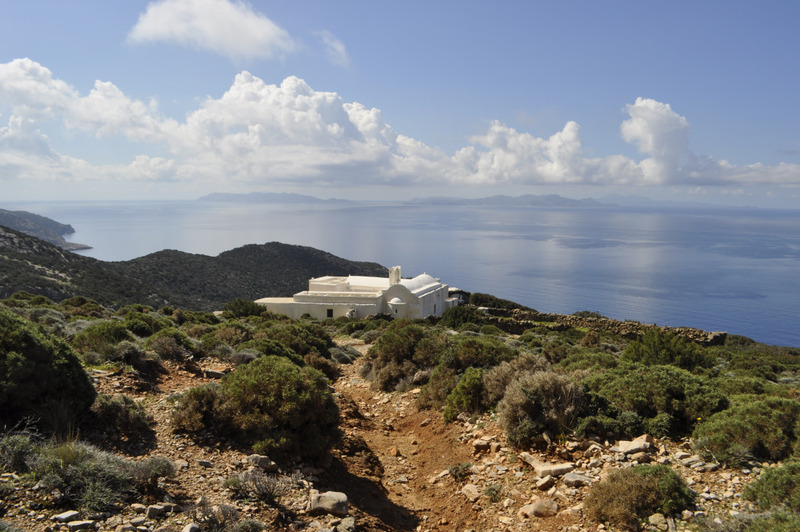 The descent ends in the remote church of Panagia Toso Nero. This is an ideal place to rest. Don’t forget to enter the church and to see the colorful wooden retable. 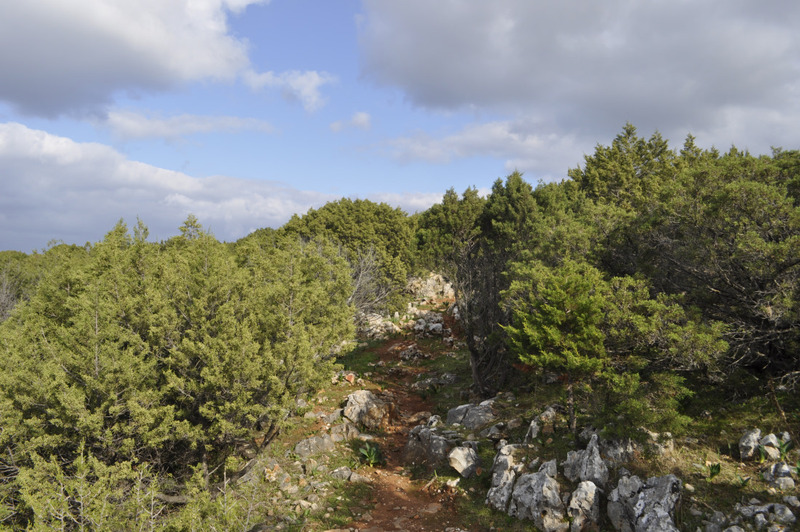 From Panagia Toso Nero, the trail will continue uphill this time, among short junipers. 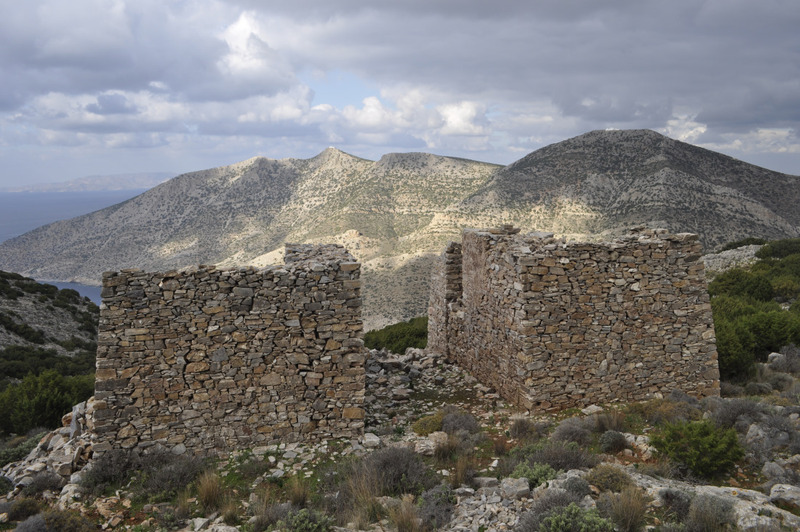 You will pass through spectacular view points, old fields, olive groves and abandoned huts. 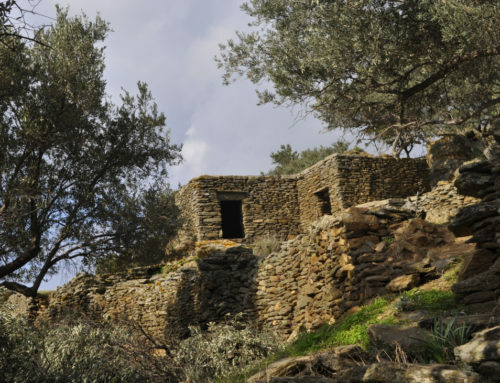 The small chapel of Agios Konsantinos is the only building still preserved. 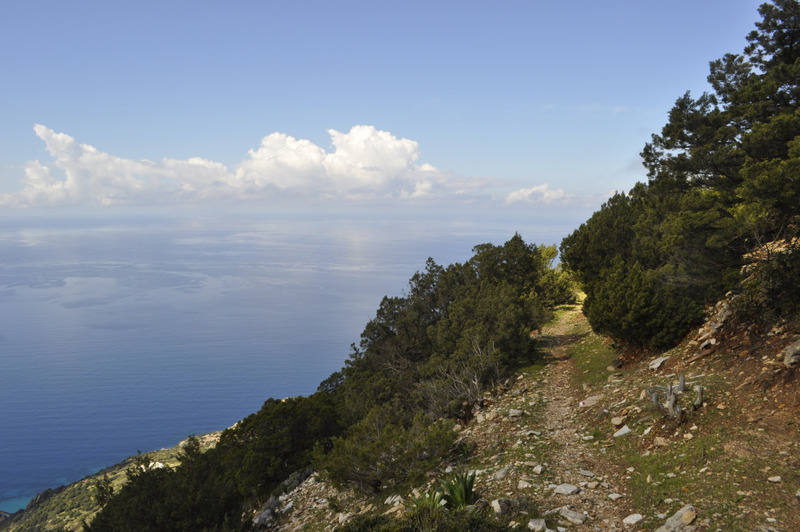 After a last steep uphill, you will reach the junction leading to Agia Marina church. 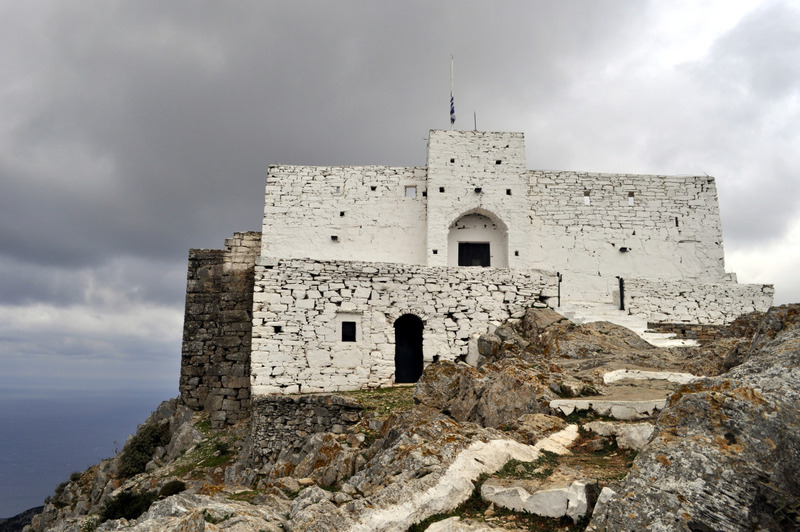 It is worth a visit, especially for its balcony, as well as an interesting icon of the Virgin inside. 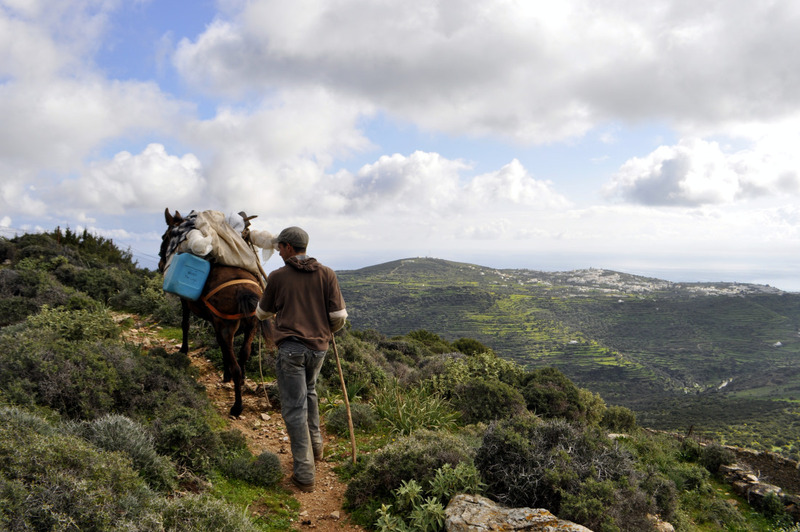 Leaving Agia Marina behind, the trail will eventually arrive on a dirt road. 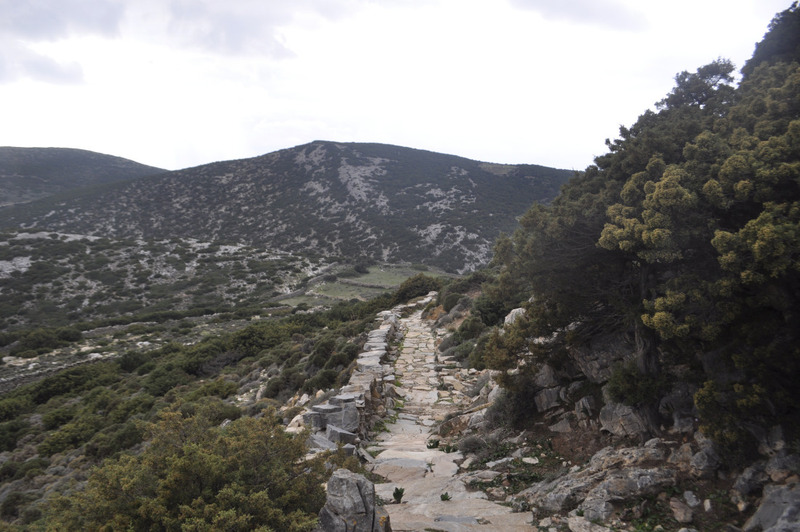 The road leads to a new junction and trail 6 meets trail 5, heading now back to Apollonia. 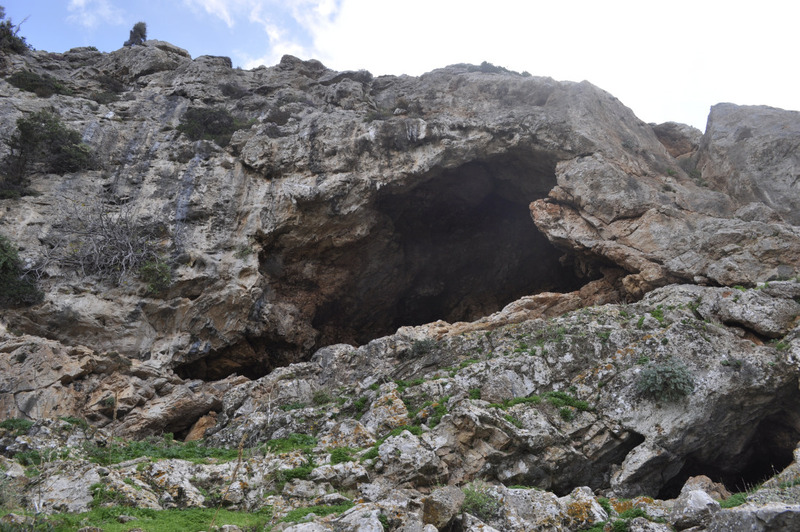 On the way down, you will pass through the hidden valley of Skafi, where it is strongly suggested that you visit the monastery of Taxiarchis (it is way-marked). The large trail will come to an end, on the main road. 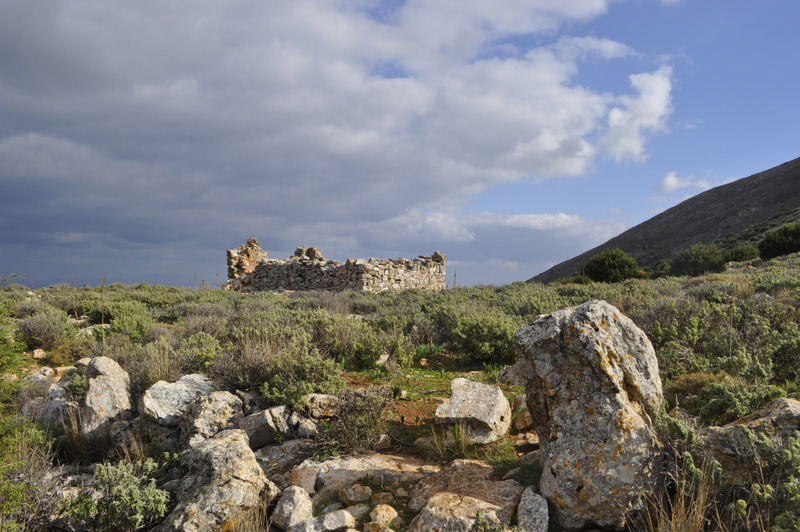 You cross the road carefully, following the signs, and soon will enter in the settlement of Katavati, pass next to the Angeloktisti church (translated “built by Angels”), and arrive in Apollonia. 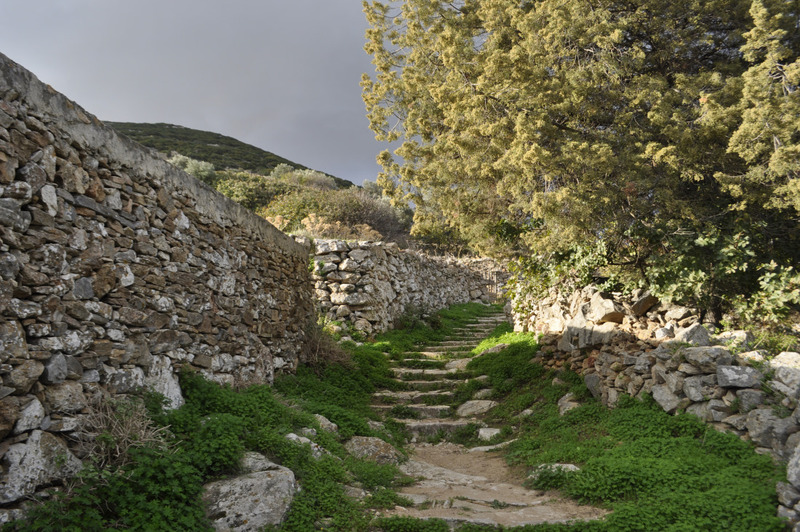 The last part of the trail passes through Apollonia, on the famous “steno”, the main narrow street of the village. 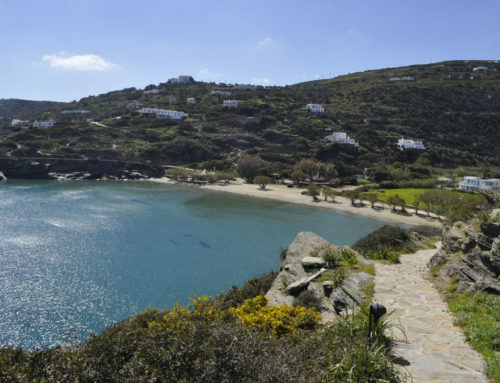 It is considered to be one of the most cosmopolitan streets in Sifnos, full of shops, cafes and taverns. This will be the end of the trail.  Those who walked it, will certainly feel that walking trail 6 feels like discovering the most well kept secrets of Sifnos. It feels like you have conquered the island. In reality, the island will have conquered you! 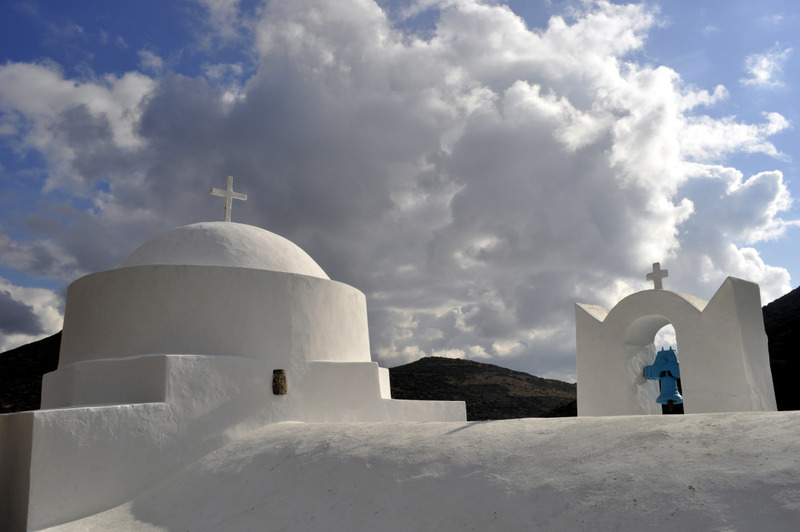 In Agios Lefteris church, there is a cell next to the church that is open to the public. There, feel free to make a coffee using the facilities. Please leave the place as clean as you found it. 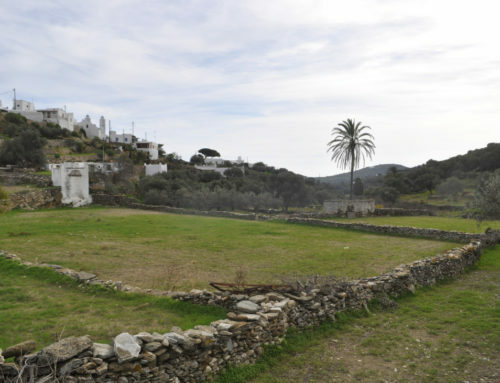 In Panagia Toso Nero church, there is a cell next to the church that is open to the public. There, feel free to make a coffee using the facilities or even take a rest on the beds! Please leave the place as clean as you found it. 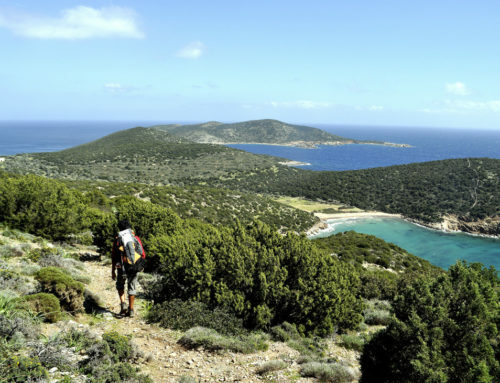 From Panagia Toso Nero, a downhill trail (not way-marked) leads to a small beach. The trail starts with some steps right outside of the church’s court. It takes about 20 minutes to walk down. On one extremity of the small beach, you can see a small watering basin built on the rock to collect water from the creek above. 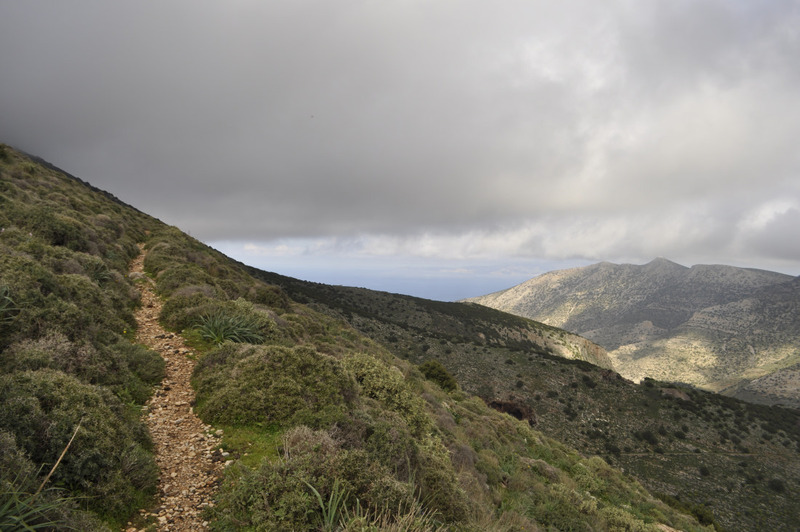 A little after the junction to Agia Marina Flambouro, there is another signpost that indicates a very difficult trail that goes steeply uphill till the church of Profitis Ilias. 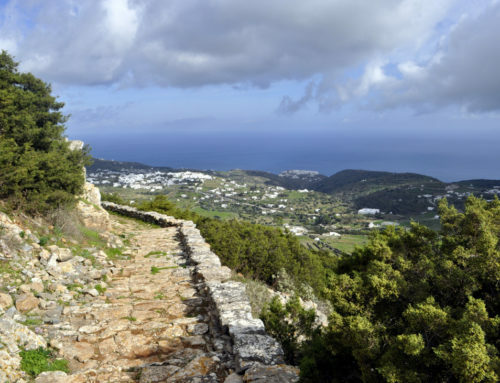 If you decide to walk it, then from there you could use trail 6B to return to Apollonia. The trail links the port of Kamares to trail 6. 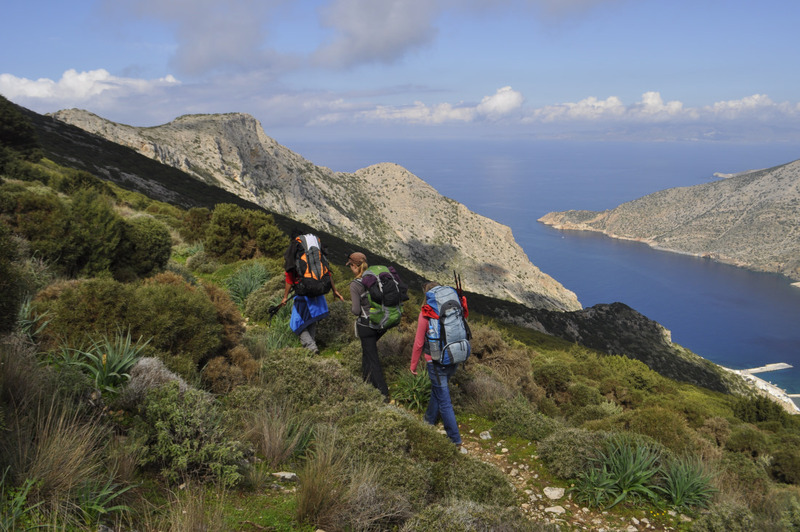 It is considered to be one of the hardest trails to walk, especially because of its steep uphill. 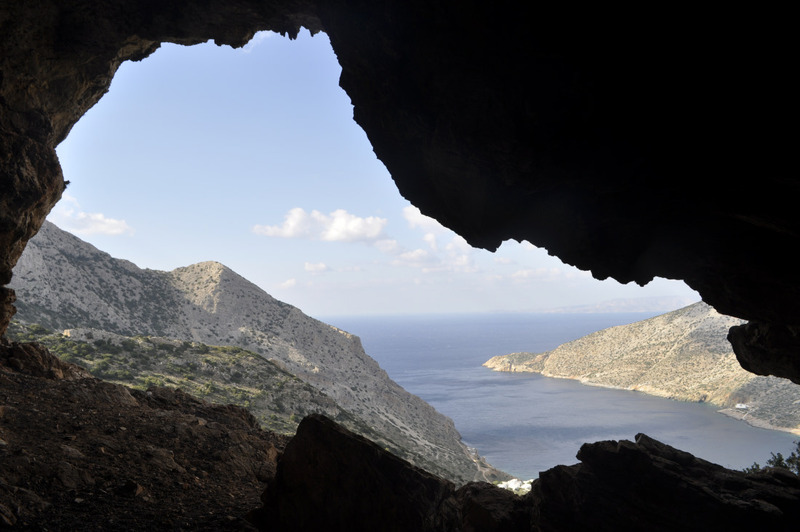 It can be walked back and forth until the small cave called “Mavri Spilia”, from where you will enjoy a great view over Kamares. 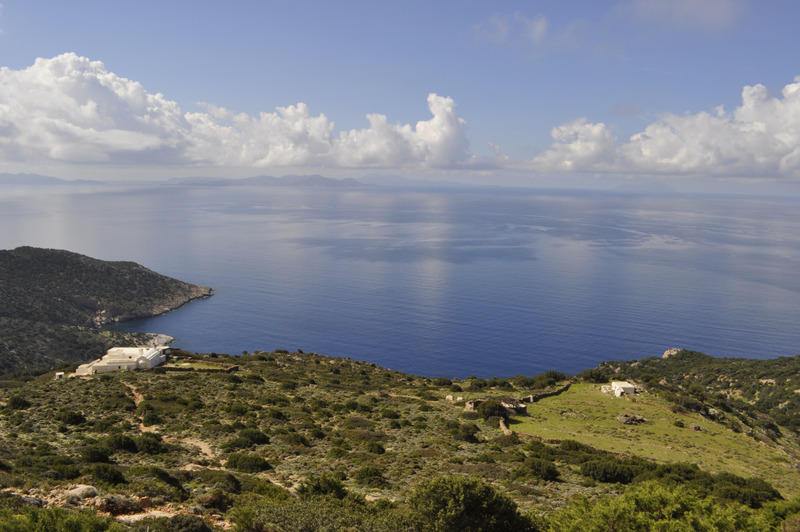 Alternatively, you can take it and in combination with trail 6 get to Apollonia. Avoid walking this trail uphill if you are not an intermediate level walker. Also avoid walking it when the weather is too hot. 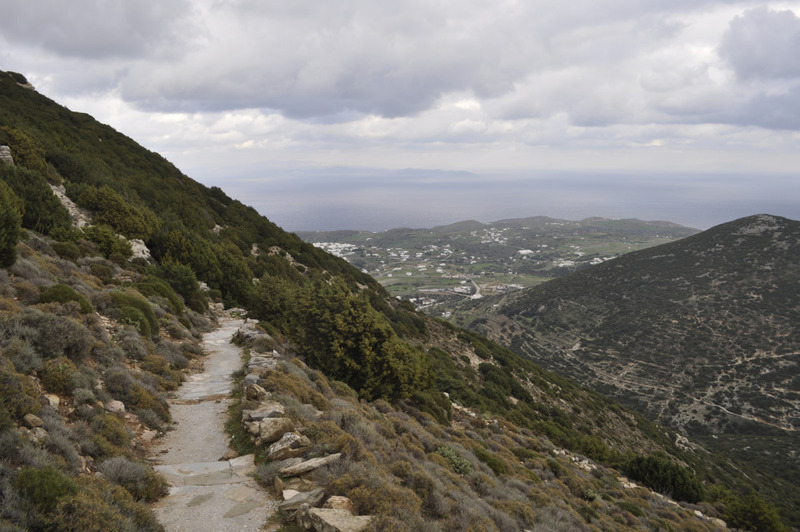 This trail is the famous ascent to the Holy Monastery of Profitis Ilias, at the highest point of Sifnos (682 m. above sea level). It is not a hard trail to walk but the constant ascent takes hours! In any case, the 360ᵒ view from the top will graciously reward your efforts! 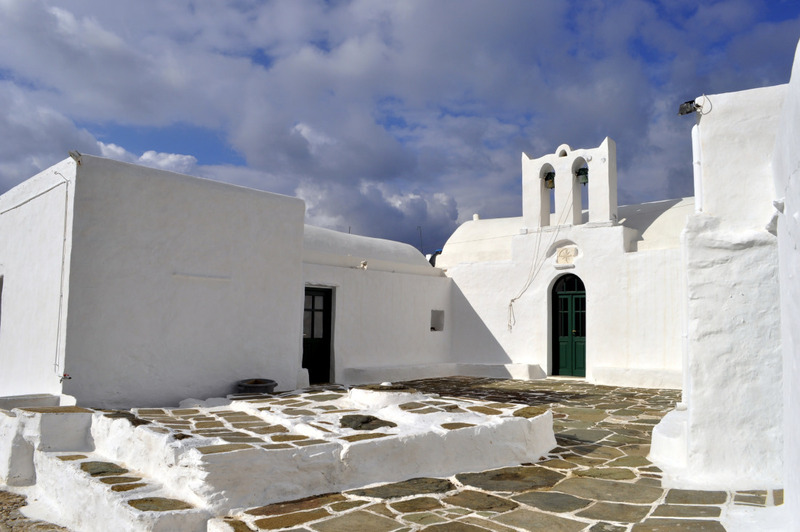 The Profitis Ilias Monastery is a very impressive building, based on an ancient fortification. It became a monks monastery probably in the 12th c. A.D., and ran as such until 1890. This trail can be combined with trail 5 as well.